I didn’t think that I would like the XTR Di2 Synchro Shift option, in which the system chooses when to shift the front and rear derailleurs based entirely on your shifting inputs only from the right shifter. The idea of both derailleurs responding to a single command and the rider only indicating if he or she wanted a lower or higher gear seemed anathema to me; I thought that I would always want to control which combinations of front and rear gears I was in. But I loved it. The system analyzes the positions of the front and rear derailleurs and automatically operates the front shift to position the chain in the best chain line and hence most energy-efficient gear with the smallest jumps between gears. Synchro’s gee-whiz factor is extremely high; I loved just watching the derailleurs move when it performed double shifts. This goes well beyond the admittedly-slick front derailleur auto-trim that is also nice to watch work on road Di2 systems. When the rear derailleur reaches certain points in the rear cassette, and those points are different depending on if it is upshifting or downshifting, the front derailleur will shift, and the rear derailleur will backtrack one cog position. Synchro Shift works on both 2 X 11 and 3 X 11 systems. If you like the Synchro Shift well enough to forgo the front shifter entirely, then you end up with the same total system weight for the M9050 Di2 system as for the cable-actuated M9000 system. Another cool Di2 feature is that you can use a short cage rear derailleur and never worry about tearing it off in a big-to-big cross gear when shifting with too little blood going to your brain. Instead, you can keep that short derailleur and chain and program the system to never shift to a gear that the chain is not long enough to handle. You can do some programming of the system by means of a smart phone as well as with the plug-in E-tube software. And you can switch it from Manual to Synchro with the push of a button or with the smart phone or E-tube to a customized Synchro shifting order or between either one of two Synchro Shift standard options. The feel of the shift is also a revelation. You first of all get a real click similar to the feel of a cable-shift system, not the vague feel of road Di2 that is indistinguishable through thick gloves. Secondly, the short throw and ergonomic rotation with your thumb of the curved swing of the lever is nice. Thirdly, you get the security of having a full wrap of your thumb around the grip at all times, including while actually performing a shift of any gear, front or rear. In these days of so many possible variations of front derailleurs based on chainring count, cable-pull direction, high or low mount, clamp diameter or direct mount options, to have a single front derailleur that handles two or three chainrings and mounts on a band clamp or on an E-type or D-type direct mount is truly amazing. And certainly it is something that retailers and distributors stocking these expensive parts will also appreciate. I never got used to the digital status display on a single short ride, but over time, I can imagine becoming attached to that as well. This would be especially true if you had the integrated Fox suspension system and could see visually whether you were in Climb or Descend mode. 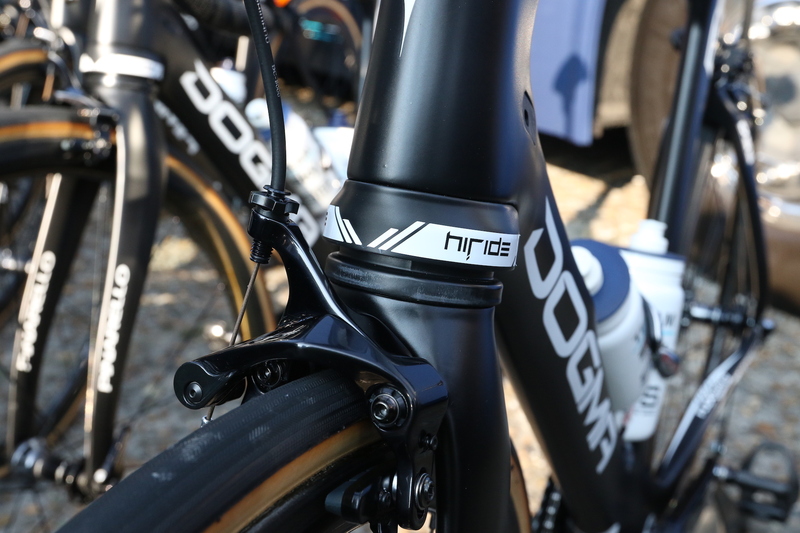 The option of having Fox electronic front and rear suspension lockouts integrated into the same shifters and running off of the same battery as the Di2 system is an amazing feature on rapidly-changing technical trails. 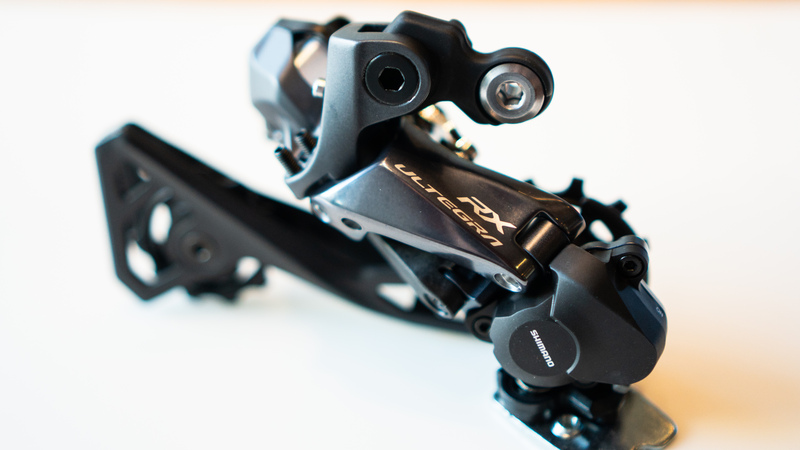 The two systems are completely cross-compatible, even to the point that you can use Shimano’s E-tube software to also program the Fox suspension system. The battery life calculator figures the battery life based on both systems combined (and apparently it doesn’t shorten the battery life much and will still last on the order of months. 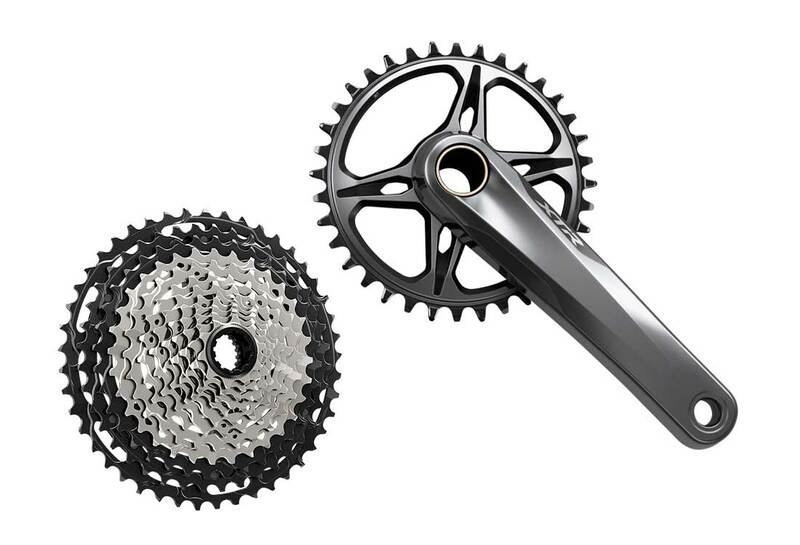 All in all, the XTR Di2 goes well beyond what road Di2 did in revolutionizing rider control of gearing and now of suspension as well.